MEA testing is getting ready to start! 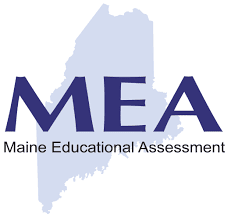 The Maine Educational Assessments (MEA) includes required assessments in Mathematics, English Language Arts (ELA)/Literacy, and Science. The 2017-18 State summative assessment in Mathematics and ELA/Literacy for grades 3-8 will again be the eMPowerME delivered online by Measured Progress. The third-year high school assessment of Mathematics and ELA/Literacy will again be the redesigned SAT delivered by the College Board. The MEA Science continues to be a paper/pencil test delivered by Measured Progress. These assessments match the content and skills outlined in the standards that guide instruction in the classroom and provide valuable information about student learning. We are committed to providing accurate information to parents and families in our community about the value of student participation in statewide assessments. These assessments help to identify the areas in each subject where a student needs additional support and where he or she has mastered the content and can be challenged to go deeper into the subject matter¾information that is useful for parents, teachers, students, and school administrators. Both the Maine DOE and our district are working to limit the amount of testing at the state and district level to ensure that tests provide meaningful information for teachers, students and parents. When a student does not participate in the state assessments, valuable information is lost. We are committed to student achievement, and the MEA raises the bar for our students to ensure they are on the path to success. We are confident that with the quality instruction delivered by our dedicated educators, and your support, our students can meet and exceed these expectations. We encourage you to reach out to your child’s principal with any questions you may have about the MEA or your child’s progress.